Do you want to change the transition settings for your image slider? Choosing the right image transition effects for your WordPress slider will help your slider to be more engaging and professional. In this tutorial, we will share how to change image slider transition settings in WordPress. Soliloquy has the best image transition effects for your scrolling slideshow, while still keeping your WordPress site loading fast. 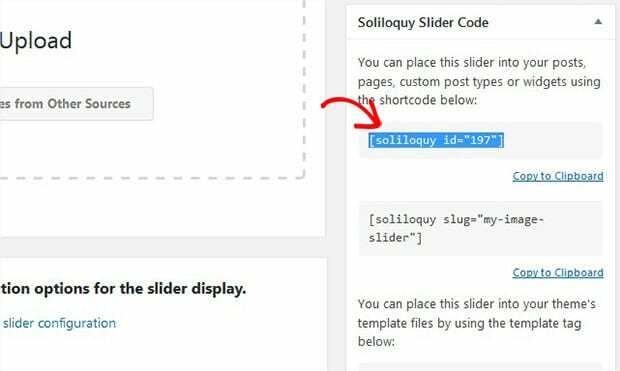 First thing you need to do is to install and activate Soliloquy Slider plugin on your WordPress site. After activating the plugin, you should go to Soliloquy » Add New on your WordPress admin backend. Simply add a title to the image slider and drop the photos in the Native Slider section. Once you have added the photos, scroll down to the Config tab. There are 4 settings for image transition effects for your image slider. You can set transition type, speed, duration and delay in these settings. Now since you are done with all the settings, simply hit the Publish button. 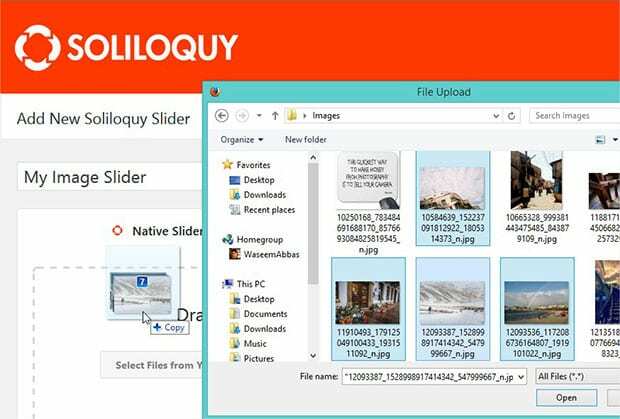 You’ll notice a new Soliloquy Slider Code widget with the shortcode for your image slider and some other information. To display the image slider, you should go to Pages/Posts » Add New or edit an existing page/post. In the visual editor of the page/post, you need to paste the shortcode. Make sure to Update the page/post. 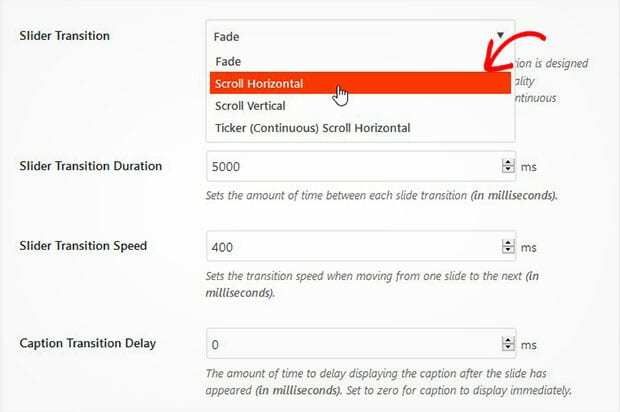 Go ahead and visit your site to see the image transition effects on your WordPress slider. That’s all. We hope this tutorial has helped you to learn how to change image slider transition settings in WordPress. 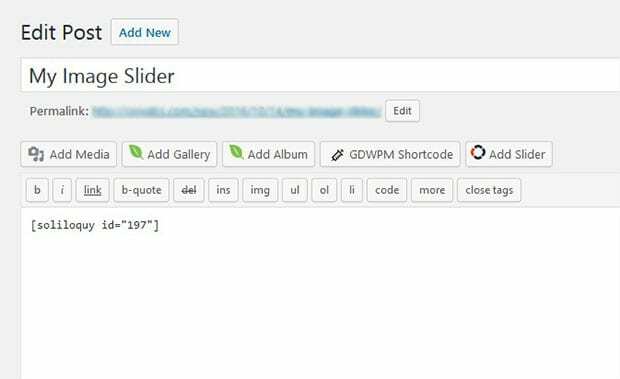 You may also want to check out our guide on how to setup default WordPress slider settings to save time. Is it possible to hold certain slides longer than others. For example 5000 ms for slide one, 2500 ms for slide 2, then back to 5000 ms?